Maybe, but probably not -- without a fair amount of expertise and/or a list of the right questions to ask and specifications to cover. Let’s narrow things down via a series of questions. Have any questions? I would love to help. Is the antenna for receive-only, or for transmitting low, moderate or high levels of power? Most tactical communications antennas fall into the moderate power (scores of watts) transceive variety. BTW, transmit antennas can generally also receive, so you get that for free. For receive-only antennas with nearby transmitter antennas, the field strength imparted should be below limits of survival (this may required detailed simulation or analysis). What platform will the antenna mount to? Although some omnidirectional antennas can be used on many structures, they are usually optimized for handheld, manpack, vehicle, tactical portable or fixed site platforms - but there there are also naval, airborne and spacecraft omnidirectional antennas! What’s the frequency of operation? For transmit, what’s the maximum continuous power the transmitter will output? And what maximum VSWR can the transmitter tolerate? Choosing an antenna that works for all frequencies and power levels expected is paramount for the aerial’s survival, while providing the transmitter a sufficiently well-matched impedance keeps reflected power below levels that can damage its amplifier. What gain and radiation characteristics are required? Relatedly, is a ground-plane dependent or independent omnidirectional antenna desired? Omnidirectional gains are typically about 0 to 2 dBi within 20 degrees above and below the horizon for antennas of standard dimensions (½ wavelength for a dipole, ¼ wavelength for a monopole). Wideband omnis can have gain as low as -20 dB at the low-end of their frequency range for practically sized structures. Some high gain omnidirectional antennas can obtain gains of 4 to 8 dBi, while their radiation patterns are compressed to ten degrees or less above and below the horizon. 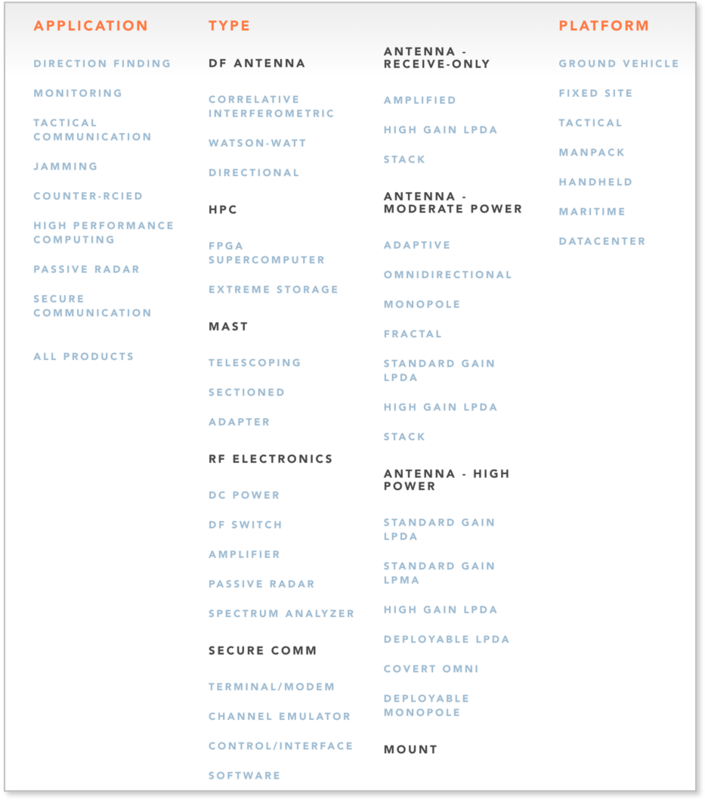 With hundreds of antennas in our products catalog, there are several ways you can browse for the right antenna. 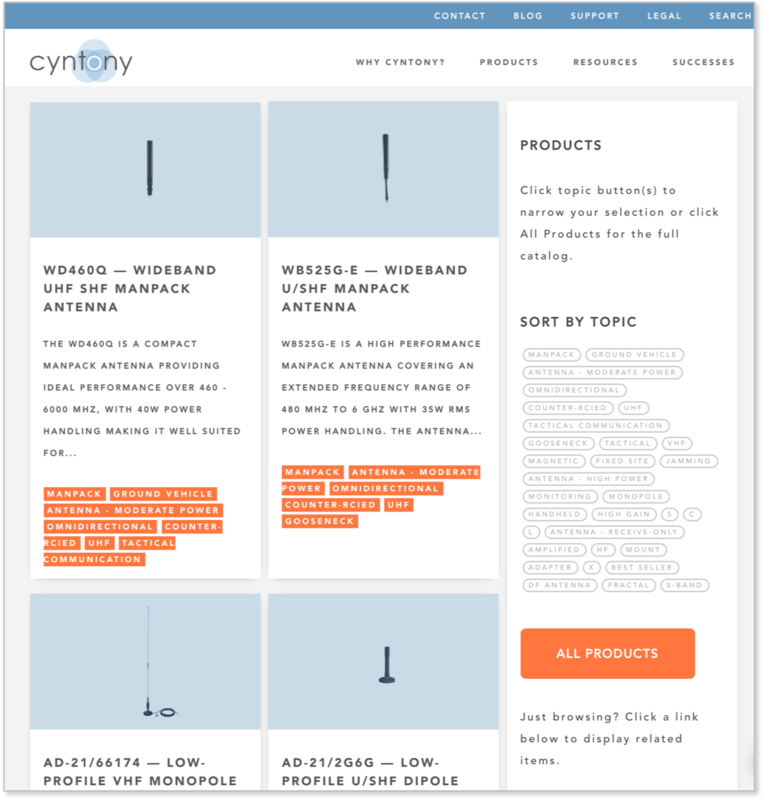 Clicking any of the items in these lists, say, omnidirectional, opens the Cyntony products catalog where each product has a unique card as seen below. Note the side bar where you can Sort By Topic to narrow down your selection by clicking as many properties desired. For as much as we've enabled self-service for selecting the right antenna for your needs, we really like helping too! Our custom attuned™ collaboration process is designed to quickly and efficiently curate products for your application. 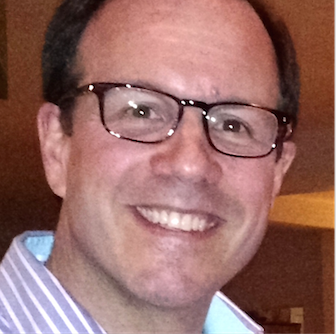 Give it a try - Let's chat about your antenna application!